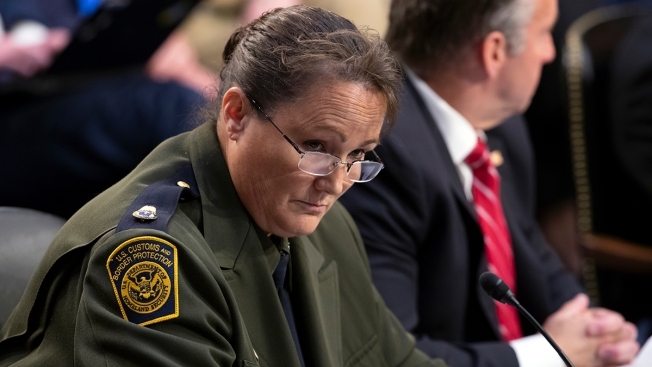 "Thousands of children are living with trauma because of the Trump administration's family separation fiasco"
In this July 31, 2018, file photo, then-Customs and Border Protection U.S. Border Patrol Acting Chief Carla Provost takes questions as the Senate Judiciary Committee holds a hearing on the Trump administration's policies on immigration enforcement and family reunification efforts, on Capitol Hill in Washington. Immigration officials were not prepared this summer to manage the consequences of a "zero tolerance" policy at the Southwest border, which resulted in the separation of nearly 3,000 children from their parents, Homeland Security's watchdog said in a report made public on Tuesday. 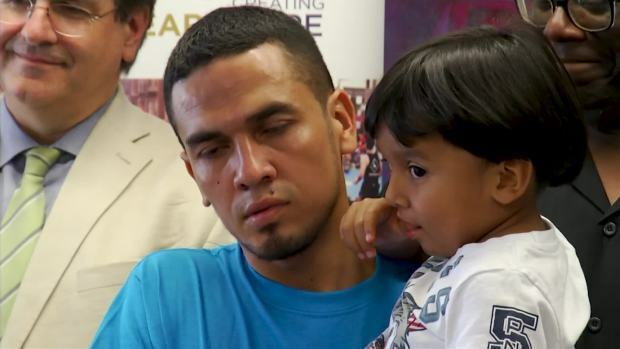 Investigators with Homeland Security's Office of the Inspector General compiled the report after speaking with about 50 immigration employees, plus 17 detainees and parents who had been separated from their children and later released. They also reviewed documents and data. Homeland Security is the umbrella department for U.S. Customs and Border Protection and Immigration and Customs Enforcement. "This administration will no longer turn a blind eye to illegal immigration and will continue to refer illegal border crossers for prosecution. We are committed to enforcing the rule of law and ensuring that there are consequences for illegal actions," Homeland Security spokeswoman Katie Waldman said. "Thousands of children are living with trauma because of the Trump administration's family separation fiasco," said Lee Gelernt, lead lawyer on the ACLU case. "Some parents may never see their children again. This report shows not just the cruelty of the Trump administration's actions, but also its ineptitude and historic failure of foresight in comprehending the devastating effects and fallout from this policy." During the weeklong period of fieldwork by the inspector general's office, the average time children spent in a Border Patrol facility was 65 hours — but one child remained for 12 days. The delay meant Border Patrol officers couldn't focus on their work. "Instead of patrolling and securing the border, officers had to supervise and take care of children," the report said. Border Patrol agents also didn't ensure that children who were too young or otherwise unable to talk could be correctly identified with a wrist bracelet or other identifier. Most children weren't photographed -- any easy way to link them with parents. Indianapolis Church Puts Jesus, Mary and Joseph in A Cage in Protest of Child Separation Policy DESC: A church in Indianapolis has placed statues of Jesus, Mary and Joseph behind a cage in protest of the Trump Administration's zero-tolerance policy which has separated more than 2,000 children from their parents at the U.S-Mexico border. "The report confirms that the Administration outright misled Congress and the American people for months about its cruel family separation policy," Rep. Bennie Thompson of Mississippi said.